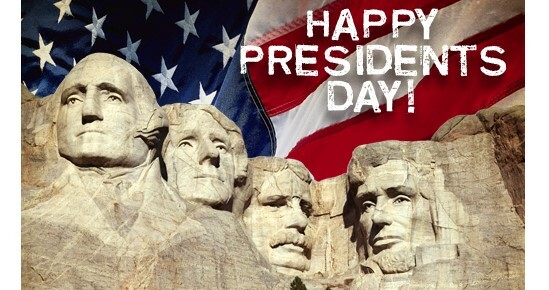 I can’t read enough about our founding fathers and I am so happy that some of the finest historians and authors are still researching and writing about the men and the times that helped create this great nation. I am particularly interested in John Adams and his complicated relationship with Thomas Jefferson. 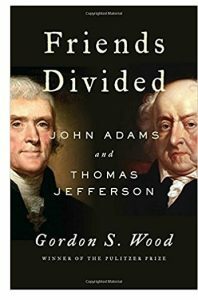 In the wonderful new book, Friends Divided: Thomas Jefferson and John Adams, award-winning author Gordon Wood explores their relationship and highlights what made their little experiment so great – opposing views can be debated and rival parties can coexist. The two great men, Jefferson and Adams, were allies turned opponents turned friends, forever bonded as arguable the two men most responsible of our founding document, The Declaration of Independence dated July 4, 1776. The two men also are part of one of the great coincidences in American history – they both died on the exact same day – July 4, 1826. Friends Divided by Gordon Wood is available from Amazon and other fine booksellers. I have really been getting into honey in recent times now that I have discovered that honey is the perfect addition to a good charcuterie board. Paired with cured meats and sharp cheeses, honey opens up complementary flavors – adding sweet to savory resulting in a little party in your mouth. There are plenty of honeys to choose from, but the fine folks at The Honey Hutch offer some of the best, like their great Orange Blossom Honey. 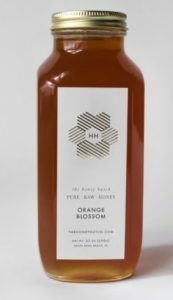 Find the Orange Blossom Honey from The Honey Hutch here. See all the great honey and related products from The Honey Hutch here. I am always on the lookout for a fun tote bag – and the fine folks at Printed Village have a great collection of totes with all sorts of cool designs. 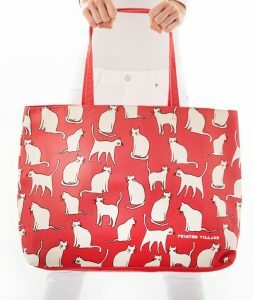 Find the White Cats Tote from Printed Village here. See Printed Village complete collection of Tote Bags. See all the great products from Printed Village here. 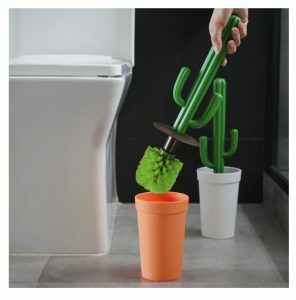 The other day I was cleaning my toilet (yes, even I need to clean my own toilet from time to time) and I was looking at the toilet brush and thinking “there must be a better design for these.” And sure enough, the very next day I found the “Cacbrush” – the cactus toilet brush – from the fine folks at Qualy. Find the Cacbrush from Qualy here. See all the great products from Qualy here. 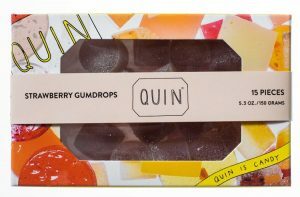 The is not much for me to say about this one – except that you really need to try the Strawberry Gumdrops I found from the fine folks at QUIN. You’re welcome. Find the Strawberry Gumdrops from QUIN here. See all the great confections from QUIN here. 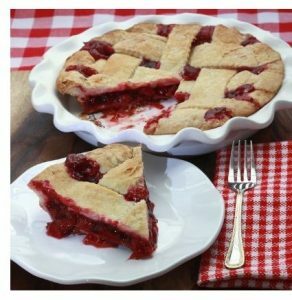 When I was a kid it was a tradition to have a cherry pie on Washington’s birthday – I guess because of the infamous chopping down the cherry tree story. But I have not heard much about the tradition in recent years, but now I have the perfect excuse to bring it back – the All American Cherry Pie I found from the fine folks at he Centerville Pie Company. 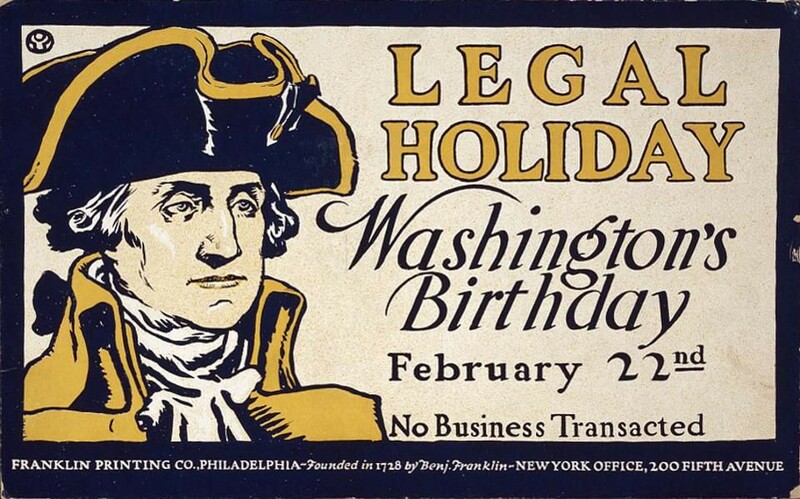 By the way – today, February 22 is the actual birthday of Mr. Washington, which was celebrated for 150 years before being lumped into “Presidents’ Day” – which combined his birthday with one Abraham Lincoln (Feb. 12) to honor both men and ultimately all presidents. Find the All American Cherry Pie from the Centerville Pie Company here. See all the great pies and treats from the Centerville Pie Company here. The current Oscar-nominated film, The Post, chronicles the story of the Washington Post’s historic and game-changing printing of the Pentagon Papers and it is a great telling of a pivotal moment in American journalism. At the center of this event was Katharine Graham, the Post’s publisher who was navigating unchartered waters after taking the helm of the paper from her late husband. Admirably portrayed by the great Meryl Streep, the film only scratches the surface of the amazing life led by Ms. Graham. 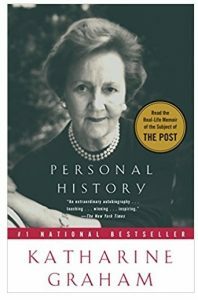 Fortunately for us, Katharine Graham left behind a great memoir, Personal History, which recounts her public and private lives through a turbulent time – and it one of the best autobiographies I have ever read. When Personal History first came out nearly 20 years ago, I devoured it. As a journalism student in college I learned about the brave stances Ms. Graham and loved reading her firsthand account as a witness, and participant, to history. Rereading it now, I am even more in awe of Ms. Graham as I now have a wider view of her challenges and the legacy she left behind. Personal History by Katharine Graham is available from Amazon and other fine booksellers everywhere. FOUND: The Fox Wall Mount by Cody Foster & Co. I always wanted a piece of taxidermy on my wall – the kind you might see in one of those old paneled libraries with big leather chairs and a giant hearth. But of course the thought of a dead animal on my wall always gave me pause (or is that “paws”?). Now I have the solution – the Fox Wall Mount by Cody Foster & Co. I found from the fine folks at Collyer’s Mansion. 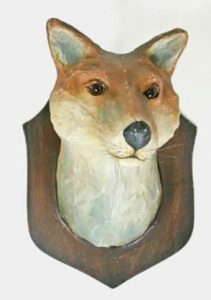 The Fox Wall Mount by Cody Foster & Co. is available from Collyer’s Mansion here. Find all the other great products for you home from Collyer’s Mansion here. What is better than authentic organic maple syrup from Vermont? Authentic organic maple syrup from Vermont aged in bourbon barrels of course! Like the great Bourbon Barrel-Aged Maple Syrup I found from the fine folks at Runamok Maple. Find the Bourbon Barrel-Aged Maple Syrup from Runamok Maple here. Learn more about Runamok Maple here. Lost Cowboy is powered by	WordPress 5.0.4 and delivered to you in 0.941 seconds using 58 queries.